Serial Cables PCI-SWG3-024E High Speed PCI Express switch delivers a powerful and flexible PCI Express external solution. 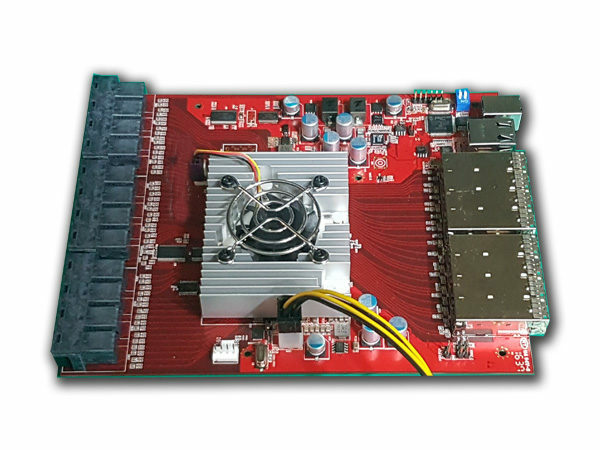 This Gen3 PCI Express switch supports I/O expansion and high throughput PCI Express clustering. The PCI-SWG3-024E switch enables users the ability to create a scalable PCIe fabric solution using standard PCIe copper or fiber cables. PCIe solutions running over back planes can now easily be enabled to run over external cables. Larger PCIe configurations can be realized by interconnecting multiple PCI-SWG3-024E switches. By loading the appropriate firmware, the PCI-SWG3-024E supports both transparent and non transparent bridging (NTB) use cases for clustering and I/O expansion applications. The PCI-SWG3-024E is the high-end switching component in Serial Cables new PCI Express Gen3 product family. 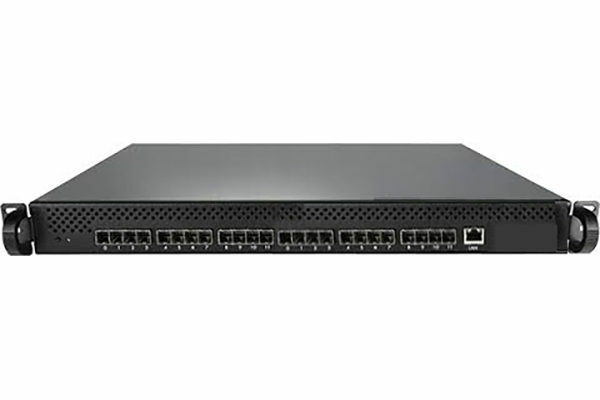 This 24 port 1U cluster switch delivers 32 GT/s of non-blocking bandwidth per port at ultra low latency. Up to 4 ports can be combined into a single x16 / 128 GT/s port if higher bandwidth is required. Each connection is fully compliant with PCI Express Gen1, Gen2 and Gen3 I/O specifications.